Cooking meat to the proper temperature is important for several reasons. First and foremost, it keeps you and those who are eating your food safe from food poisoning and other harmful foodborne bacteria. Second, it ensures that your food is cooked to the ideal level of doneness: not undercooked, but not overcooked either, so that it will have the best possible flavor and texture. While there are several ways you can check if meat is cooked, such as pressing into it with your finger (the meat will get harder and springier as it cooks), judging its exterior visually, or cutting into it to look at it internally (this guide shows how a steak looks at various points throughout the cooking process), there's no substitute for an internal meat thermometer, which will tell you to the degree how cooked your food is. If you don't have one, take a look at some of the options available of meat thermometers and other types of cooking thermometers. When taking a temperature, be sure to position the thermometer in the middle of a roast, avoiding the bone. 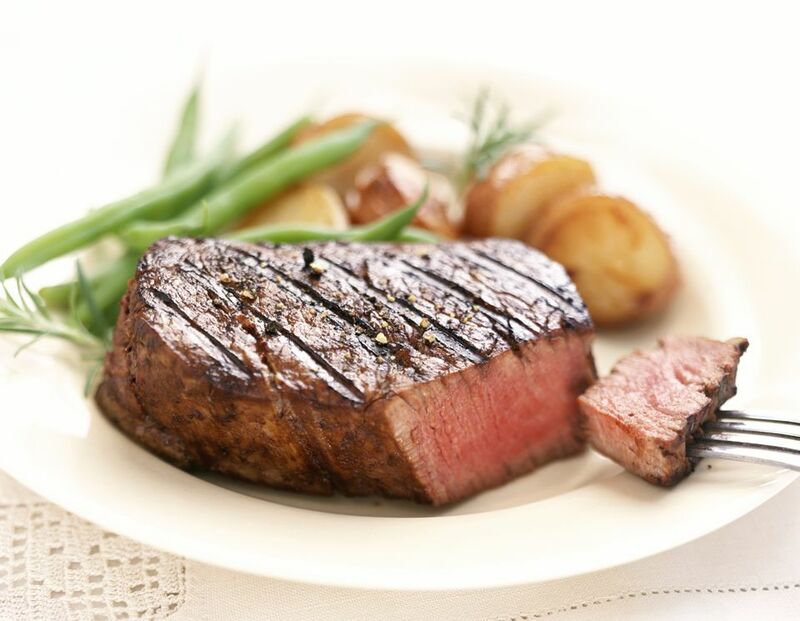 In a steak or other cut of meat, put the thermometer in the thickest part of the meat. Unless you are using a digital thermometer, which gives the result quickly, wait a moment or two until the dial of the thermometer stops moving. For poultry, check the temperature in the breast and the inside of the thigh. After cooking, large pieces of meat, such as roasts, will continue to cook and increase the temperature between 10˚ and 25˚F (called carryover cooking). Be sure to keep this in mind and take a roast out of the oven when it's a few degrees from being done. Clean the thermometer with hot, soapy water after each use. The chart below can help you determine the proper internal temperature for the type of meat that you're cooking. For more information on meat safety, check out foodsafety.gov.